Submitted by Denise Azucena on Apr. 2, 2019.. The Audio-Technica ATR2100 is a dynamic handheld microphone with both XLR and USB connectivity. Podcasting, Home studio recording, Field recording, On-stage use, Voiceovers. It sports an On/Off switch for both USB and analog operation, and low mass diaphragm for accurate response. It comes with a tripod desk stand with folding legs, and stand clamp that attaches securely to the tripod or to any regular microphone stand. A number of reviewers praised its crisp sound quality. Its USB and XLR connectivity gave reviewers flexible options when they want to connect directly to their computer or to an audio interface - which improves the sound quality of the audio input. 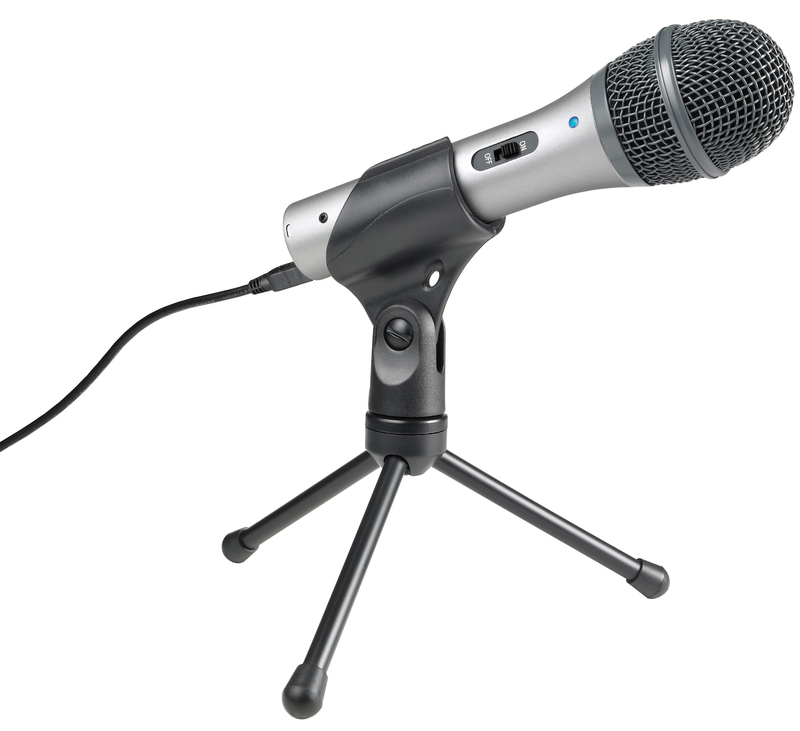 Its a very directional microphone picks up precise audio with rarely picking up any background noise. Some reviewers mentioned it works fairly well when used as a boom mic for shooting videos outdoors. They also mentioned it doesn't pick up too many plosives so that a pop filter is not really needed as long as it's used at a certain distance. Some users mentioned the stand wasn't sturdy and the USB connection was flimsy. They would use a different stand and USB cable that fits well with microphone. This is a good entry level microphone if you are looking a versatile microphone used for both at-home and outdoor use. The Audio-Technica ATR2100 was on our recommended list until we performed a major review of USB Mics for April 2019 when we found there were more highly rated options to recommend in our guide to The Best USB Mics for Recording.